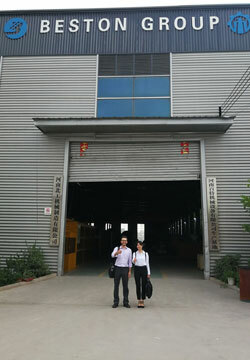 Last Friday, our American customers came to China for visiting KingTiger waste recycling machine. They were quite interested in the technology and process of our machine. 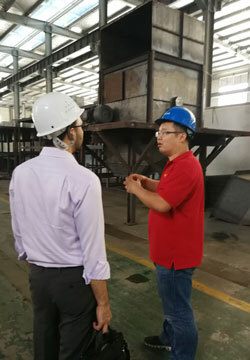 Accompanied by the director of our factory, the customers gradually learned about the various components of the sorting equipment, as well as the usage. The American customers needs two waste sorting lines: 500T/D & 300T/D. They also learned about the occupied area of the machine and were satisfied with our reasonable waste sorting machine price. 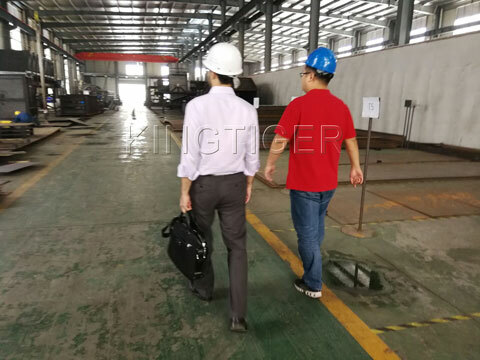 They wanted to buy the machine for disposing municipal solid waste, and also were interested in our related plastic waste pyrolysis plant, which can further process the sorted plastic waste into fuel oil and carbon black. The final products will bring them great profits. 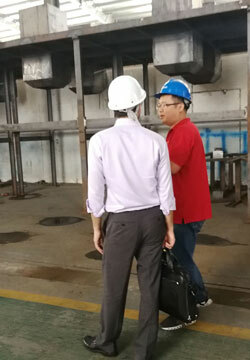 During the visiting, our professional sales manager has explained the differences between KingTiger batch and continuous pyrolysis equipment in details, which makes the customers more interested in our products. The further cooperation is under discussion.